Our annual subscription offers the best value. You are basically getting 2 months for free. This actually makes an awesome gift for the athlete in your life. Give them a membership for a year and you have nothing to worry about....you're happy, they're happy. Train your way with our guidance. This is your all-encompassing online training guide that can save you a lot of time and heartache thinking about how to train. 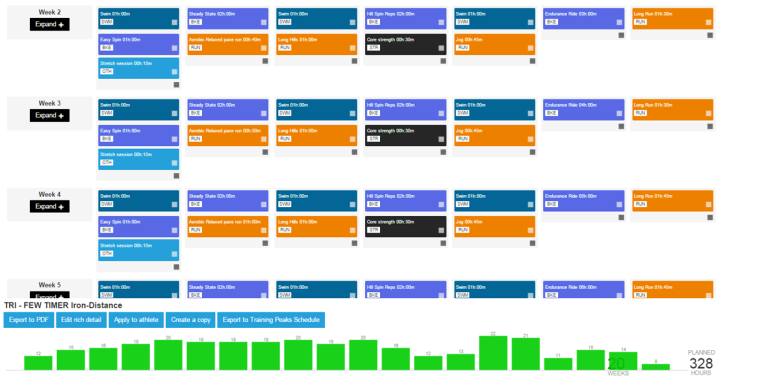 It's a place where you can independently follow any of our training plans and pick and choose from any of our continually updated sessions such as swim, bike, run, and strength sessions. All designed, utilised and perfected by our expert Foot Traffic Coaches. As a Lab member you have the freedom to pick and choose the programme you want to apply to your training calendar. We have numerous plans for you to choose from, for all levels of athletes, for whatever your goal or event. For example you might feel our "Terra Firma" maintenance plans are a good place to start, then once you have decided on a race to enter, you can select the training plan that is appropriate for you and that race. Our plans also give you the flexibility and ability to shift sessions within your week to suit your routine. Every month we will update and add to the Lab library a new bunch of resources such as swim, indoor trainer, core and strength sessions to keep things varied and interesting for you. You have the freedom to select which session you want to do to fit within your training plan. Download the Training Tilt mobile app and you can take your training plan on the go with you. And if you have like to analyse your session data you can even sync it to your Training Peaks account and use their analytical features. The Lab has a private members forum which is monitored and contributed to by our coaches, so you will hear from us and our other members...there is a wealth of information here. You also have the opportunity to leave voice or written messages with us through our in site applications and one of our coaches will respond to your queries. We are here to help you. You are the boss, you get to pick and choose which plan you want and which event you want to set it towards. Finish one plan then chose the next one you need to target another race. What are you waiting for? The lab is open and ready for you to start.